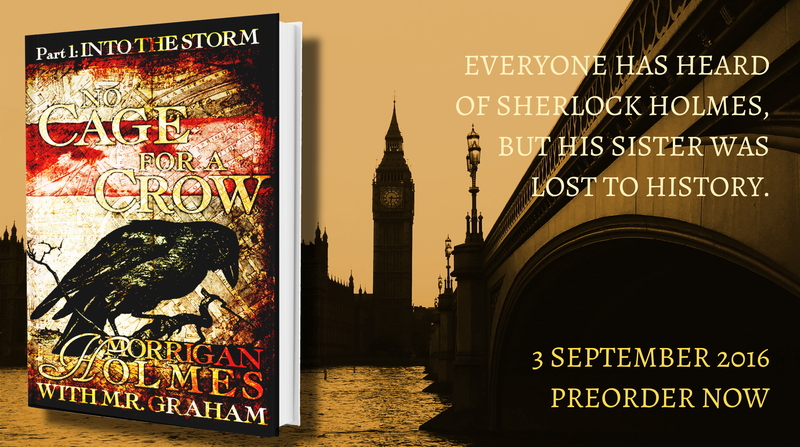 Tagged amwriting, morrigan holmes, sherlock holmes, tuesday teaser, victorian. Bookmark the permalink. Saffron winced when she saw that they had left telltale tracks in the thin coating of dust on the bookshelves. “Because I don’t ask to be excused from the table the nanosecond I am finished eating and I sit and listen to the grown-ups talk after dinner. He is called Egg because his head was extra large when he was a baby and he has white hair. Saffron shrugged and pushed the folder back in-between the books. WHEN ARE YOU GOING TO POST MORE CHAPTERS?! Ooh, just a couple of weeks? I shall look forward to it!